On Tuesday night I attended a beautiful celebration of Eid al-Adha hosted by the Muslim Students Association (MSA) on my campus. Having studied Islam for nearly four years, I thought it was about time I experienced some of the culture outside of the classroom. 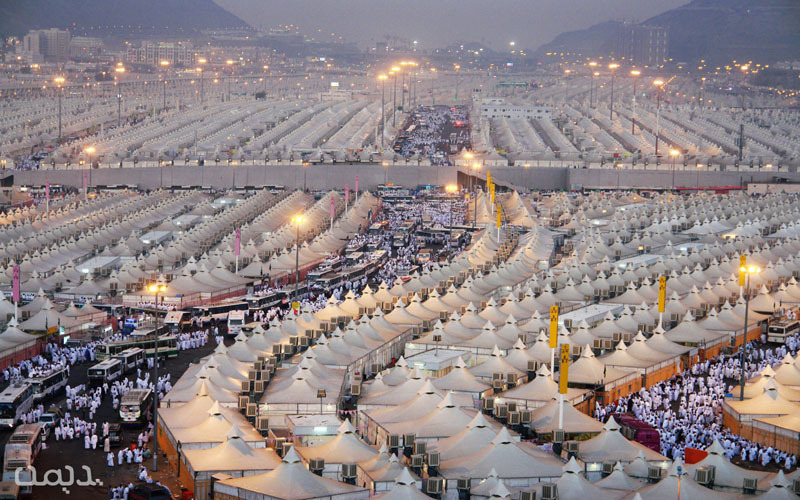 Tuesday marked the end of the Hajj, a day called Eid al-Adha. 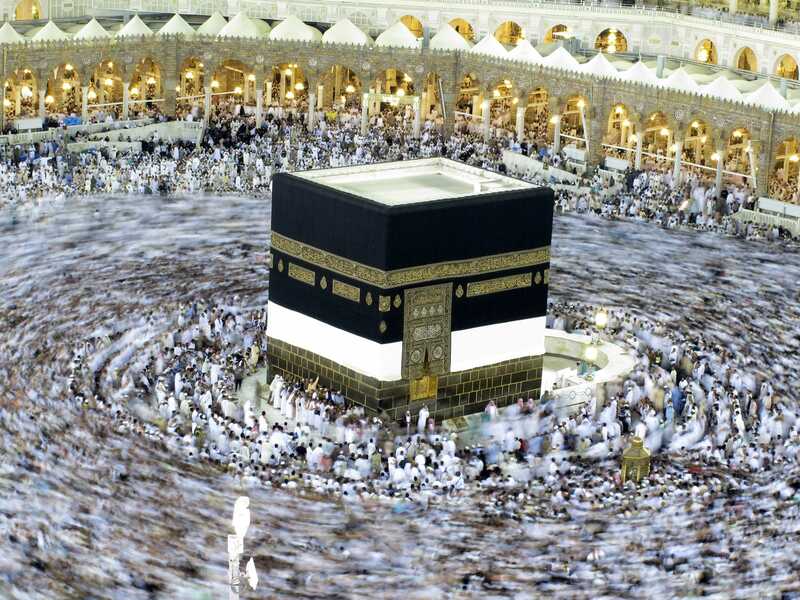 The Hajj is the annual pilgrimage to Mecca that hundreds of thousands of Muslims make every year. 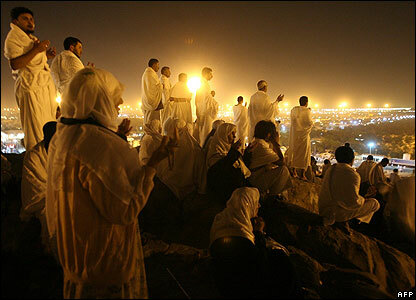 Hajj is one of the five pillars of Islam and every Muslim should make the pilgrimage at least once in their lifetime. Eid is also known as the festival of sacrifice. It commemorates the day when the Prophet Ibrahim was to sacrifice his own son Ishmael as a sign of obedience towards Allah. Seeing his devotion, Allah spared Ishmael and instead allowed Ibrahim to sacrifice a sheep. 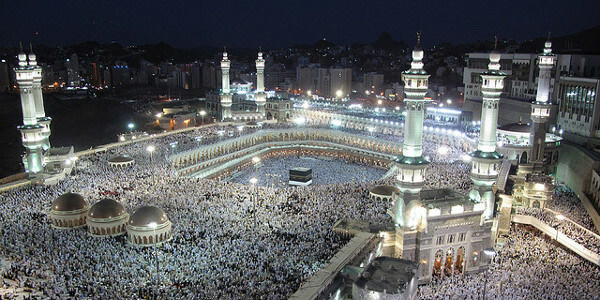 Nearly 1.4 million Muslims made the pilgrimage to Mecca this year and an indeterminate number can be seen above praying at the Grand Mosque in Mecca. These pilgrims come devoid of most possessions, wearling simplistic outfits of white cloth. 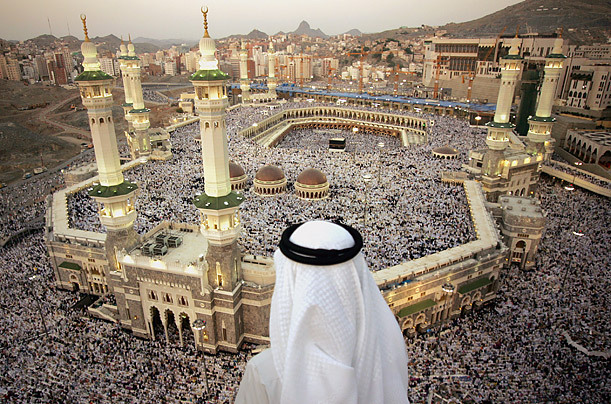 Pilgrims come from all over the world to pray in Mecca. Muslims pray towards this symbolic location five times per day, every day for most of their lives. I imagine that for many Muslims, this is the most meaningful and fulfilling religious experience they may ever have. I’ve experienced several key religious celebrations for different faiths: Catholic Christmas mass, the first night of Passover, all 8 days of Channukah, a Buddhist wedding, and now Eid al-Adha. There is something incredibly special about seeing someone practice their faith–it doesn’t matter which faith it is. There are things you simply can’t understand in a classroom, and the personal facet of religion is one such thing. A board member of the MSA made a brief speech about the Hajj and Eid. He then shared some of his favorite bits of his faith that make him smile whenever he thinks of them. I wish that more people could see this simple expression of the Islamic faith. This is how the average Muslim practices Islam. It’s as non-violent as a child opening presents on Christmas morning; as beautiful as the breaking of glass at a Jewish wedding. It may scare me, but then I remember: it is the unknown that is scary. Understanding and knowledge helps mitigate this fear. And that is why I expose myself to as many religions and religious experiences as possible–because I refuse to fear something by default. How do you determine spousal support in a California divorce?